Cybersecurity expert, researcher, and author. Dr. Josiah Dykstra is a Senior Researcher at the Department of Defense. 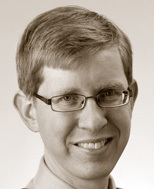 Dykstra received his PhD in Computer Science from the University of Maryland, Baltimore County, researching the technical and legal challenges of digital forensics for cloud computing. He is known in the DoD and forensics communities for his work on network security, intrusion detection, malware analysis, digital forensics, and cloud computing. He is a lifetime member of the ACM, Fellow of the American Academy of Forensic Sciences, and winner of the Presidential Early Career Award for Scientists and Engineers. This webcast will focus on real-world applications of science to your role in providing cybersecurity. "At 166 pages, the book is a great introduction to the topic. What it covers in breadth it lacks in depth, and it's hoped the author will follow-up with a much more detailed and comprehensive book. 'Essential Cybersecurity Science' lives up to its title and is indeed an essential reference. Those looking enhance their information security program with defensible data and metrics will certainly find this book a useful reference."